One of my favorite colors to hatch is the “blue” or “splash” chickens. The breed doesn’t matter, I am all about the splash or blue chicken. I don’t know why, I am just attracted to blue genes. Blue genes, not blue jeans. Though I do like the latter: but I digress. 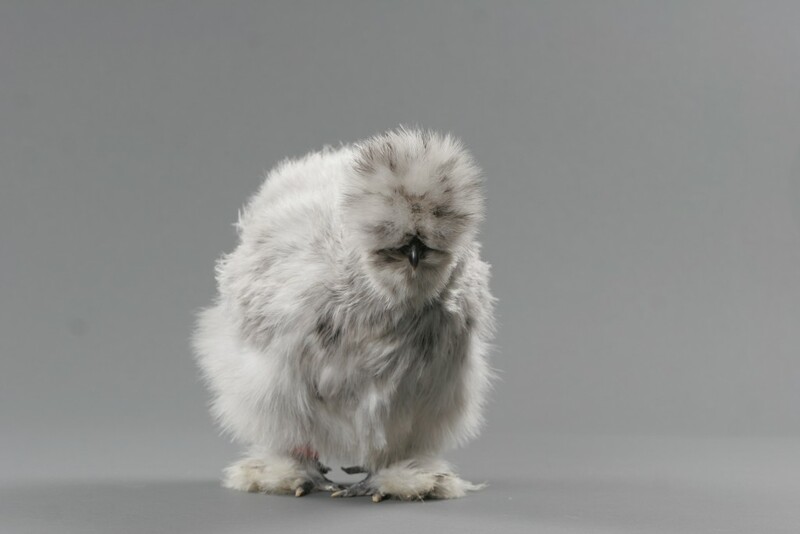 However, with most blue breeds, the color blue is not guaranteed when hatching. The color blue just doesn’t hatch true in chickens. Blue genes: I got ’em! Just what color are you supposed to be? The genes for “blue” are actually more like diluting genes. They are genes that dilute black feather color. Think of it as a large dark room, painted black, without any lights. The room is black, but one light is turned on. The room then becomes visible. Depending on the strength of the light, it can be dark gray or a lighter gray. In chickens, a copy of the blue gene lightens up black feathers to “blue,” which in chickens is more of a pretty bluish grey. Some will be darker, others will be lighter. However, most will be an even “blue” color. Two copies of the diluting gene result in “splash” plumage. 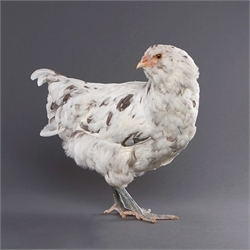 In chickens, splash is a very light color, pale grey or white with “splashes” of black and darker grey in the feathers, especially in the wings and tail. If we think about the dark black room again, it is like there is a series of low-power tract lighting, illuminating the room. Spots of of darkness, where the lights don’t reach– or perhaps fancy light shades that are creating dappled lights, along the walls. 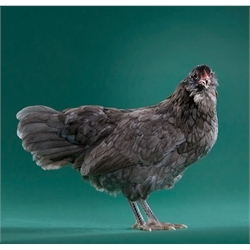 When a chicken receives NO copies of the blue diluting gene, that means any black feathers remain black. The room stays dark. When a blue rooster and a blue hen reproduce, even though they’re both blue, only about half of their offspring will be blue. About 25% of their offspring will be black… and the last 25% or so will be splash. 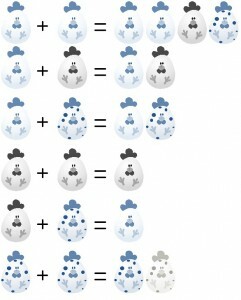 This can be really frustrating when you want to hatch all blue chicks! So, while it’s possible that with good luck you’ll get all blue (or all splash, which is my favorite), it’s just not likely. You can see it laid out in the chart, below. Here’s Lucie, our mascot, showing off her B/B/S colors! I love my blue blue gene, and the surprise of never knowing what I am going to get!